The amount of packaging material affects recycling and material consumption. The volume and weight efficiency of packaging affect the number of trucks needed to transport goods. The ability to protect affects the number of damaged products during distribution and in warehousing and consumption stages. To structure, analyse and alleviate the total environmental impact of packaging in supply chains, a systems approach is necessary. Such an approach helps to capture and address the multifaceted demands, requirements and constraints on packaging. These include both the packaging itself and its effects when used in supply chains. 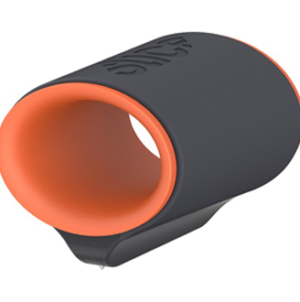 It involves, for instance, the combination of multiple packaging features (e.g. protect, apportion, communicate, and unitize) for different stakeholders in various supply chains, and managing the waste handling stage of packaging. The packaging material area affects the energy consumption and the greenhouse gases of packaging material production and packaging waste. In order to reduce the impact of this area, companies should use as energy-efficient materials as possible and an optimal amount of packaging material. However, to minimise the environmental impact, it is essential that packaging still protect sufficiently. Companies should also use as few mixed materials as necessary in order to improve recycling efficiency. The product waste area refers to the ability of packaging to protect the product to avoid product waste. Packaging can protect the product from physical damage, moisture, temperature changes and gases to minimise damaged and wasted products. Compared to the environmental impact of the packaging material, the energy consumed in products are generally much greater – for food products often at least a factor of ten. The trade-off between the amount and type of packaging material and the number of damaged products needs to be evaluated. For example, unwrapped cucumbers are unsaleable after a few days, while 1.5 grams of plastic wrapping extends the shelf life to two weeks. The global challenge of food waste is a well-known concern. Research shows that appropriate packaging protection has the potential to reduce food waste in supply chains significantly. Packaging can also reduce food waste in the consumption phase by being of the right size and easy to empty. The area of logistics and transport efficiency depends on a number of packaging features, such as its volume and weight efficiency, stackability, and modularization. The transportation sector is heavily fossil-dependent and it is responsible for about 30% of CO2 emissions in OECD countries. A study by the World Economic Forum concluded that the volume and weight efficiency of packaging is one of the top three initiatives to reduce these emissions. Case studies have also illustrated potentials to reduce the number of trucks by up to one third for some types of products, just by having more volume-efficient packaging. 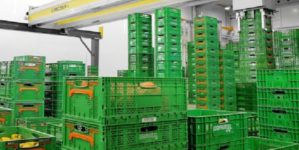 For companies, it is essential to maximize the fill rate in all levels of the packaging system, adapting the packaging system to transport vehicles, and designing stackable and unitised packaging systems. Packaging postponement with bulk transportation in long distances the supply chain can result in high utilization rates in vehicles, but still consumer-adjusted packages in the final delivery. 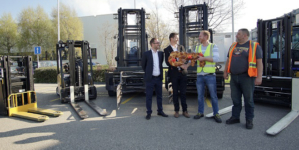 Another approach to improve the utilization rates in vehicles is to use modularized packaging to combine a variety of different products on one load carrier. These are some examples of environmental actions to apply that improve the logistics and transport efficiency. The general debate about the environmental impact of packaging today often refers to the packaging material. The packaging material is a major problem; the countries in the European Union reports about 80 million tonnes of packaging waste per year, and the used packaging material consumes resources for recycling and landfill. It also has other negative environmental effects, such as plastics in oceans, which disturbs the ocean from absorbing greenhouse gases. The impact of the packaging material needs to be reduced, but not on the expense of product waste and logistics and transport efficiency. Compared to reduced product waste and improved transport efficiency, the packaging material often corresponds to less than five per cent of the total energy consumption of packaging. Another example is that in some cases additional packaging material enables stackability so that an additional layer of packages or pallets can be stacked in a truck or on a pallet. 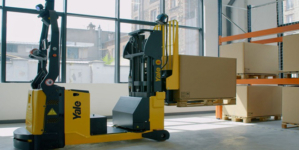 This improves transport efficiency and material handling efficiency. The common practices in packaging selection and design do not address the total environmental impact of packaging systems of all three areas in a comprehensive analysis. To do so, the systems approach should be applied. It is a step in the direction to help companies to identify and analyse trade-offs between the environmental impacts from the packaging material, product waste, and logistics and transport efficiency in a structured way. It also helps to emphasize trade-offs between the environmental and economic impacts, which are essential to consider. Clipper Logistics have introduced to its fleet in 11 new vehicles and 16 trailers designed to reduce carbon emissions.